The corkscrew — or “helix” — design of the patent-pending HELIXX material delivery system is optimized for efficient and cost-effective use of salt and was engineered to operate in the target range for salt spreading best practices. Whether spreading 100-percent salt, 100-percent sand, or any mix in between, the HELIXX is engineered to prevent clogs and provide a flow of material superior to that of traditional auger spreaders. 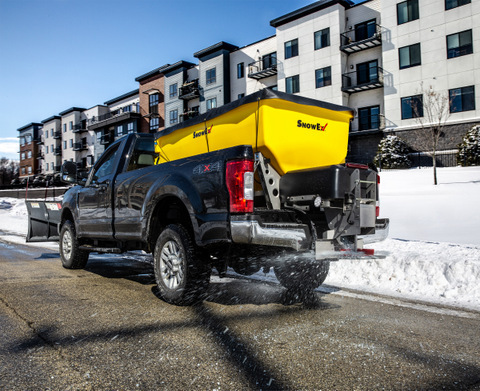 For more info on SnowEx Snow and Ice Control Equipment, click here. We promise quality content.